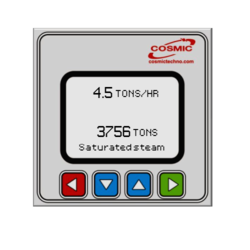 SFC-146 .... the perfect solution for monitoring Steam Flow in Industrial environments. On Line computation of Steam Density. Automatic Saturated or Super heated Steam detection. Extremely accurate ...based on standard IAPWS 1997 (International Association for properties of water and steam). Being a principal enterprise, we are immersed in providing an extensive compilation of Steam Flow Meters. Due to its finest finish, these are high on demand amid our patrons. In order to confirm its finest quality, the presented product is thoroughly inspected on several quality restrictions by a crew of quality supervisors. LUGB series Vortex flow meters are designed for measuring the volume/mass flow of liquids, gases and steam based on Karman vortex principle. 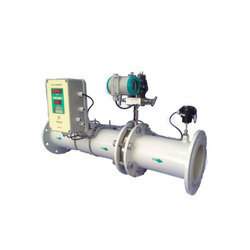 A fit & forget steam measurement systemSteam Flow Meter is suitable for measurement of mass flow of saturated steam.